This week, we continued our NR30 series highlighting the leaders of augmented reality space by profiling the venture capitalists and strategic corporate investors that sustain the industry. Fittingly, investment in AR made headlines this week, as Magic Leap acquired a mesh computing company that could facilitate the evolution of Magic Leap's hardware, and Snap CEO Evan Spiegel told his employees that investment in augmented reality, including future hardware, will be a priority for 2019. In addition, entertainment companies Sony Pictures, NBC Universal, and Warner Bros. continued to lean on augmented reality as a way to squeeze a little more juice out of its intellectual properties. If there are any doubts about the future of the AR industry, it doesn't seem like many venture capitalists or corporate investors share those doubts. According to Digi-Capital, investors poured a record $3.6 billion into the space over 12 months as of the end of the first quarter of 2018. Overall, the investors of the NR30 aren't just providing the financial fuel driving the augmented reality industry; they're also seeding the business world with the underlying framework to support a historic paradigm shift that may scale larger than any tech before it. These early AR investors understand that the time to invest is now before the new AR reality is widely evident to the rest of the investing community. REALITY BITES: On the subject of AR investment, micro-LED display maker VueReal has received $8.5 million in funding from the Sustainable Development Technology Canada (SDTC) organization. The funds will enable the company to execute a $26 million project that consists of expanding its team and opening a new fabrication facility. On Friday, Magic Leap announced the acquisition of Computes, Inc., makers of a decentralized and distributed mesh computing platform. Using a blockchain-based peer-to-peer network, Computes can leverage unused computing capacity from idle computers around the world and apply the processing power to perform the heavy lifting required for mesh computing. REALITY BITES: Web-based AR experiences have the potential to spur further growth in AR by enabling online retailers to adopt the technology and integrate it into their websites. Alexander Borodin, co-founder of VT Labs and a full-stack web developer, explains how easy it can be to implement AR Quick Look, Apple's flavor of web-based AR, in a Shopify store. In a leaked company memo, Snap CEO (and NR30 member) Evan Spiegel has made it clear that the future of the company lies not only augmented reality but also hardware that enables those AR experiences. 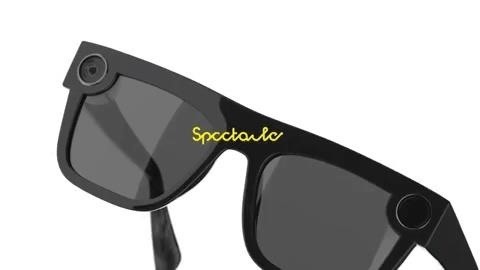 In other words, Snap is definitely planning on getting into the smartglasses game. In the memo, Spiegel emphasizes leadership in augmented reality (as well as profitability) as one of the main vectors by which the company will achieve its near-term goals. This includes "investing in Spectacles hardware as an enabler of our augmented reality platform." REALITY BITES: Snapchat's AR arch-nemesis, Facebook, announced this week that its Camera Effects AR platform will now be called Spark AR. In addition, the company is proceeding to expand the platform's availability to Instagram via a closed beta release. REALITY BITES: Speaking of Pokémon GO, the game's developer, Niantic Labs, is encouraging players of Pokémon GO and Ingress to visit trails and rivers across the US in celebration of the 50th anniversary of the National Trails and Wild & Scenic Rivers acts. Between now and the end of the year, players can receive a commemorative patch in honor of their participation.